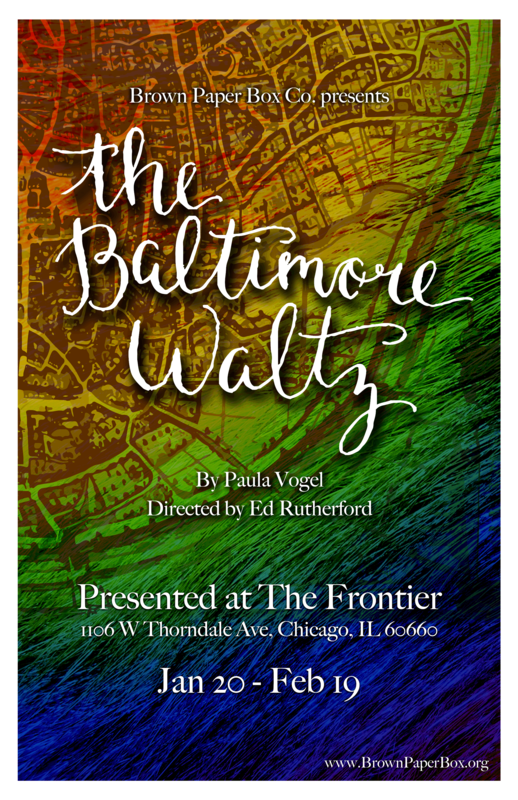 Brown Paper Box Co. is excited to announce their second main stage production of their 2016/2017 season – The Baltimore Waltz by Pulitzer Prize winner Paula Vogel. This production opens this week, on Saturday, January 21, 2017 and runs Thursdays through Saturdays at 7:30 PM and Sundays at 2:30 PM through February 19, 2017 at The Frontier in Chicago’s Edgewater neighborhood (1106 W. Thorndale Avenue). A preview is scheduled for Friday, January 20, along with special Monday night performances on January 23 and February 6, both of which begin at 7:30 PM. 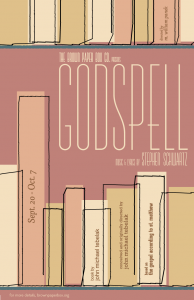 Additionally, this production is a participant of Chicago Theatre Week 2017 and The Ghostlight Project and all tickets are on sale now. Photos from rehearsal can be found attached; information about ticket sales and more can be found at www.BrownPaperBox.org. When Anna is diagnosed with a fatal illness, she and her brother go on a whirlwind tour of Europe – both so Anna can live fully in her final days, and possibly to search for a cure. Not all is as it seems as the story Anna spins for the audience becomes less and less reliable and realistic. “I’m tremendously pleased to help Brown Paper Box realize Paula Vogel’s beautiful The Baltimore Waltz,” says BPBCo. guest director Ed Rutherford (Amour and Coraline with Black Button Eyes Productions). “I admire the way it invokes fantasy as a way to soften the blow of harsh realities, and believe the play remains just as relevant today as when it first premiered.” Rutherford is BPBCo.’s second guest director following the company’s Director Proposal Initiative which featured Lavina Jadhwani’s color-and-gender-conscious Julius Caesar last season. The cast includes Justin Harner* as the Third Man, Jenna Schoppe* as Anna, and Paul Michael Thomson as Carl, with Ian Geers, Caitlin Connor Joseph, and Michael Pfeiffer serving as understudies. The production team includes Ed Rutherford (Director), Jeanine Fry (Costume Designer), Margaret Baughman* (Stage Manager), Michael Patrick (Sound Designer), Zach Dries (Photographer/Videographer), Cate Gillespie (Dialect Coach), Jeremy Hollis (Set & Props Designer), Eric Vigo (Lighting Designer), M. William Panek* (Casting Associate), Anna Schutz* (Production Manager), Charlie Sheets* (Graphic Designer), and Matt Sergot* (Box Office Manager). Brown Paper Box Co.'s Presents "Positively Present: An Uplifting Cabaret"